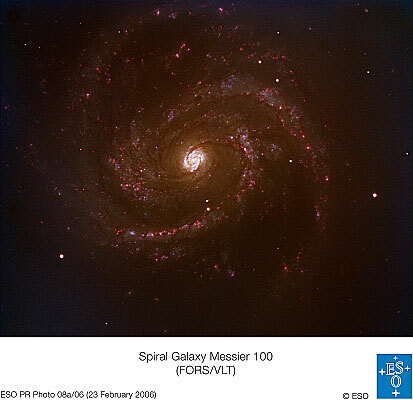 Supernova 2006X was discovered in M100, 12" west and 48" south of the nucleus, in the morning of February 7, 2006 by Shoji Suzuki and M. Migliardi of CROSS. At the time of discovery, it was of brightness 15.3 mag and still rising. Spectral analysis classified this one as a supernova of type Ia, discovered well before it reached its maximum. The maximum occurred on February 27, 2006 when its brightness had reached mag 13.5. 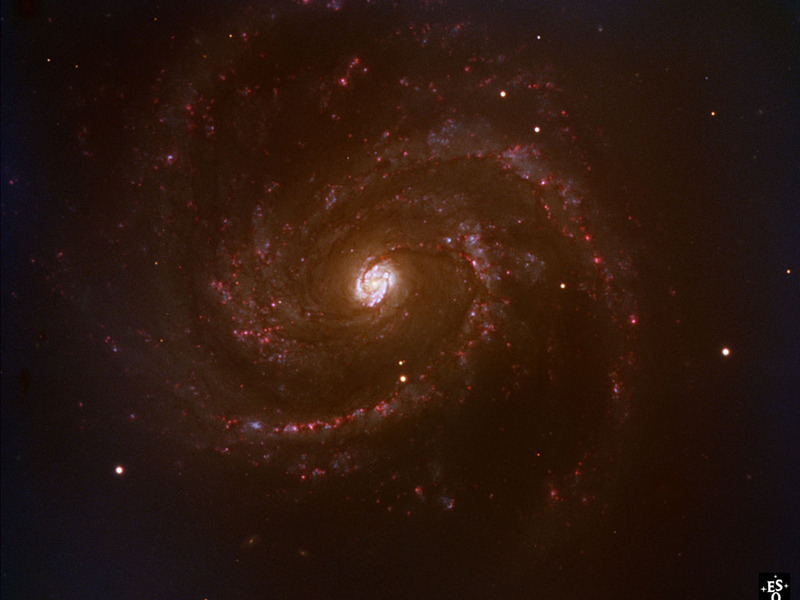 This type Ia supernova may well be used to obtain an independent distance for M100 in the future, which may be compared to the considerably good distance determination based on Cepheid brightness using the Hubble Space Telescope. Insight hopefully resulting from such studies might e.g. help to calibrate the cosmological distance scale. The image in this page was obtained by the European Southern Observatory (ESO) using their VLT. 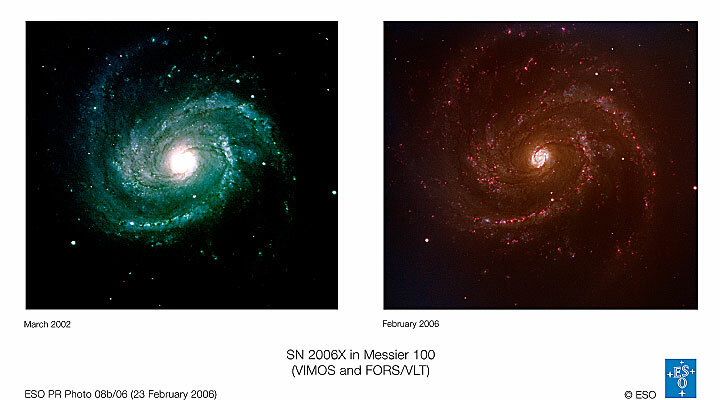 The supernova is the brighter (lower) star of the two below the bright nuclear region of M100.